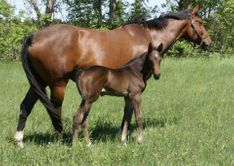 Highest jumper breeding index of KWPN mare with offspring in sport outside of Holland. 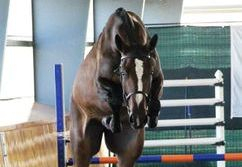 Dam of two Grand Prix jumping horse such as Andretti S ridden by Olympic team Laura Kraut. Bred by Family Van Straten out of their outstanding program. 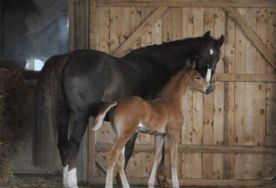 Foaled three First Premium fillies top ten in North America which two KWPN Reserve Champion in North America, just like their mom. 16.3 h Imported as a yearling to join our outstanding breeding program.